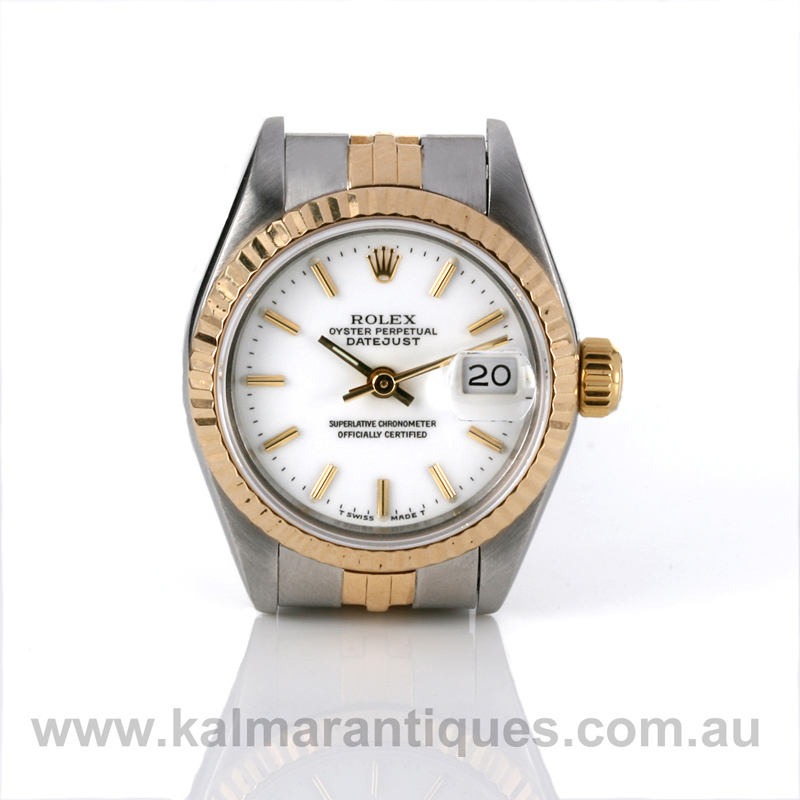 Product code: W620 Categories: Sold Items, Sold Rolex Watches. 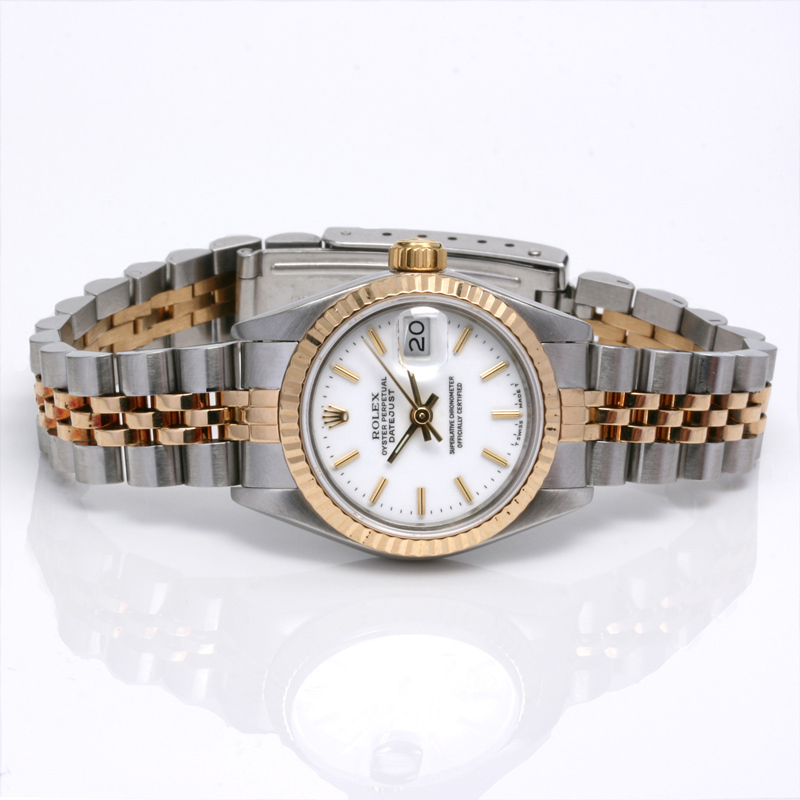 Here is such an elegant and versatile ladies 18ct gold and steel Rolex Datejust model 69173 with the hard to find Rolex white dial. This Rolex is so easy to wear day or night and always look so good as it is fitted in the gold and steel Rolex Oyster case which measures 26mm across plus the Rolex screw down crown. With the white dial so pristine and clean, this is such a hard dial to find and so easy to read all the time and is protected under the scratch resistant sapphire crystal. Fitted on the gold and steel Rolex Jubilee band which is in great condition, this Rolex has just come back from a complete service and runs perfectly and comes with our twelve month warranty.